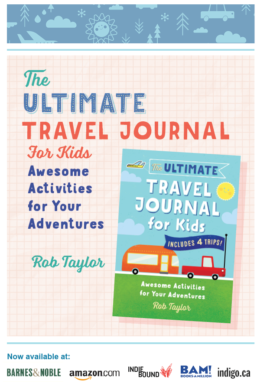 October is one of the best months to travel since kids have gone back to school and people are prepping for the holidays. Also a bonus: fall colors are going to be showing up and changing before you know it. We’ve been thinking about all of our favorite places to visit in the fall and National Parks have the best fall colors around. 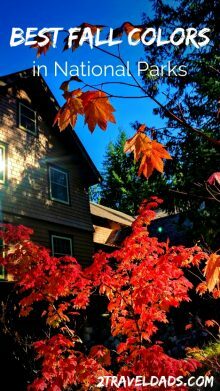 Take a look at our top seven picks on the west coast for getting the best fall colors in National Parks, and then plan your trip really quick before the snow begins and the fall foliage is gone. The best National Parks in fall tend to be at least a two hour drive from major cities, so are you’re reading out list and suggestions, consider planning a fall getaway to make your autumn foliage dreams come true. Why are the best fall colors IN National Parks? When is the best time to find fall colors in National Parks? Simple. America’s National Parks are set up to showcase the best aspects of the natural world here in the United States. That means that the roads provide sweeping views across the fall colors (or summer greenery) and the areas that are protected within the National Parks are nearly uninterrupted so whichever way you look you’ll be engulfed in nature. The best fall colors in National Parks are also fairly easily accessible from several major cities. 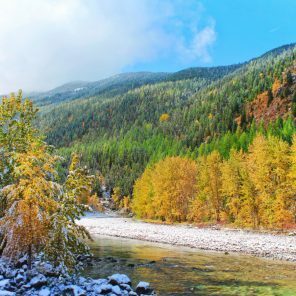 This makes for a great weekend fall getaway for exploring the colors or for hiking to waterfalls just before they freeze. An ideal autumn travel plan for sure! Tip: the best National Parks in fall do get busier as the season progresses, so if you’re planning a fall getaway to experience and be out photographing fall colors, as soon as you’re ready to commit to a plan, book your lodging. 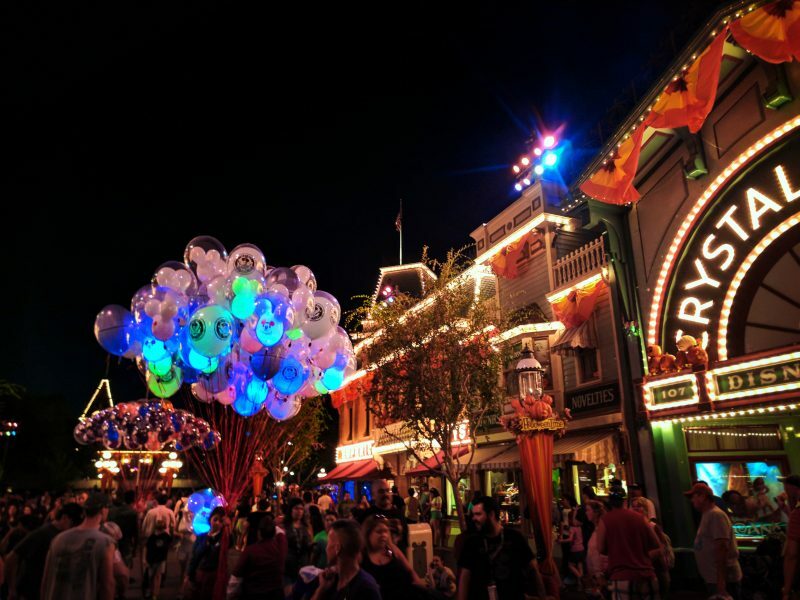 Just saying, you don’t want to get your fall travel dreams crushed because you forgot to book a hotel. As soon as you feel that first crisp day or think fall is hitting the lowlands where you live then it’s definitely time to head into one of National Parks to take a look at their fall colors. Many of the prime autumn destinations to visit, aka the best National Parks in fall, are at higher elevations so the temperatures are lower and the weather systems can be more severe, thus making fall colors start earlier in National Parks than in the lowlands and around major cities. Mid to late September is typically when you will start to see some of the colors change. For parks in the Rocky Mountains the end of September and first week of October is when the fall colors are at their best. 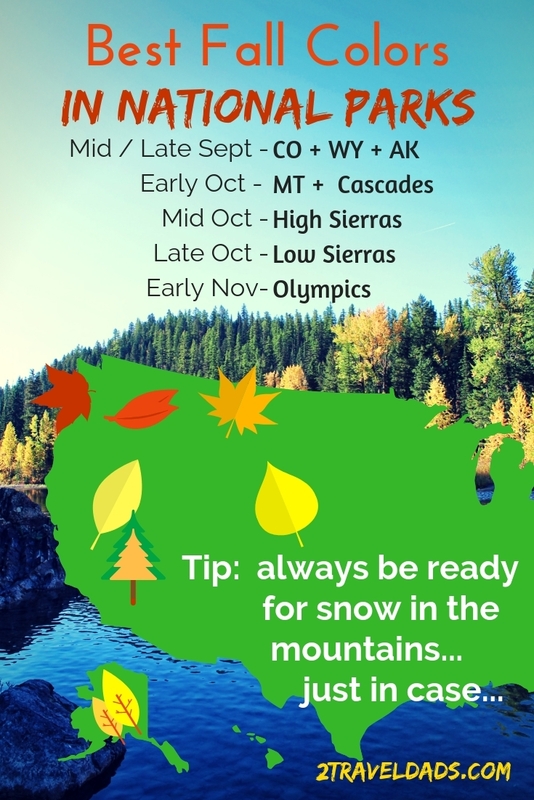 For the Cascades and Sierras, Mid-October is ideal, but also when the snows begin, so plan for that. Coastal National Parks have the best fall colors at the end of October and early November. Take a look at this fall color forecast infographic to see when it’s the optimal time for visiting each of our top fall foliage picks in National Parks. These National Parks are some of our favorites any time of year, but when the fall foliage hits, the parks ignite with vibrant rainbows of flaming leaves. Fall colors in National Parks are really the best! 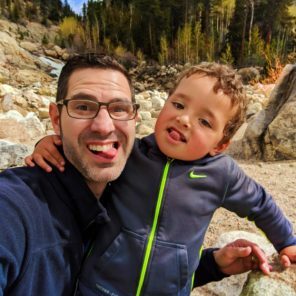 You’ll find some other lists out there that send you to some pretty obscure or difficult to get to parks, or some that really are best with kids, but we’ve taken into consideration which are the best National Parks in fall that are EASY to get to, so enjoy our list and make a plan! Glacier National Park has long been a favorite of our family. 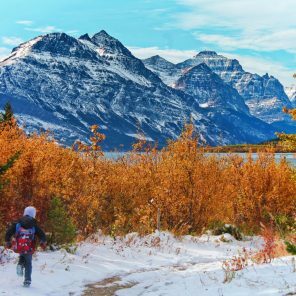 For hiking and camping it’s best visited in June and early July but when it comes to the best fall colors in National Parks, autumn in Glacier NP takes the take! 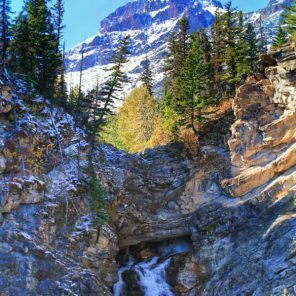 Even if the Going-to-the-Sun Road is closed, as it frequently is in late summer and as the busy season winds down, it’s quite easy to drive around the outside of the park or Eastern portions of glacier. On the west side of the park visiting Polebridge to the North or Lake McDonald to the South will both give you beautiful fall colors mixed into evergreen trees surrounding perfect lakes. With the mountains towering just beyond the fall trees the photo ops for autumn foliage are gorgeous. On the Eastern side of the park either entering at St Mary or at Two Medicine, you’ll find two more lakes that reflect the fall colors perfectly. 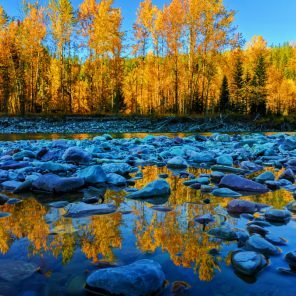 Two Medicine is for sure our top pick in Glacier National Park for being surrounded by fall colors, particularly if you do a few short hikes into the colorful foliage. Until you’ve seen autumn in Glacier National Park you haven’t lived, which is why it’s at the top of our list of best National Parks in fall. Tip: if you’re visiting Glacier National Park in fall, staying in West Glacier is the best idea. 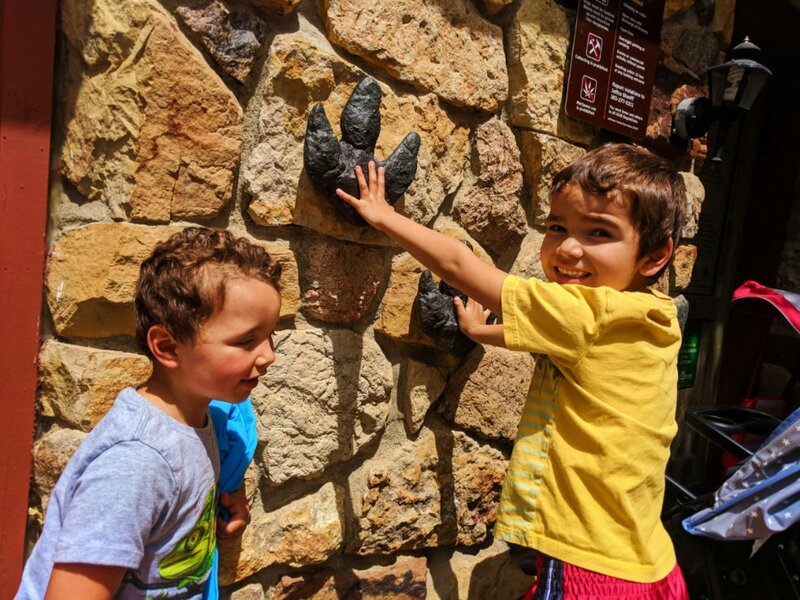 You’ll be at the park entrance, but also close enough to Columbia Falls, Whitefish, and Kalispell for dining, distilleries and other activities. Also, you can take the Amtrak Empire Builder train line to Whitefish or West Glacier stations. 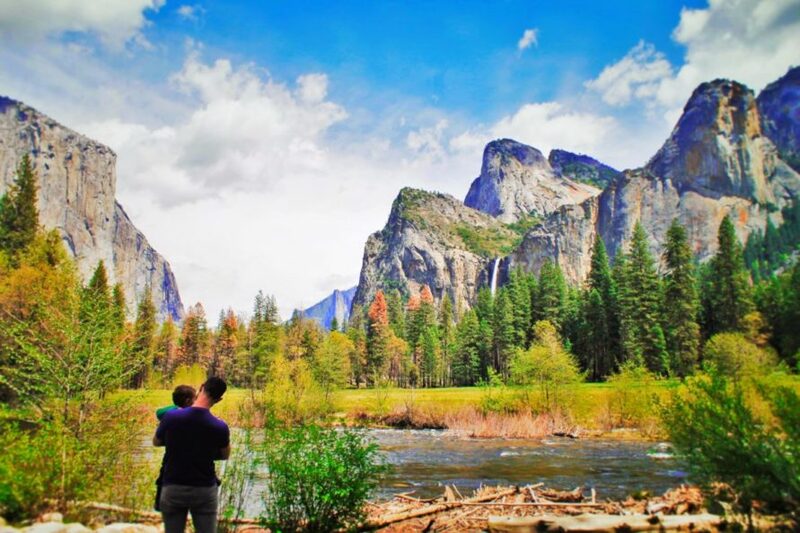 Yosemite National Park in California has been an increasingly popular destination and it’s for sure one of the best National Parks in fall. 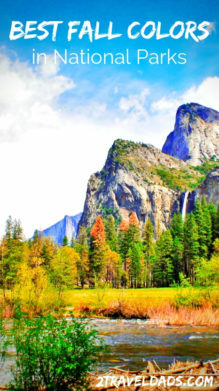 Rightly so, as Yosemite is jaw-dropping year-round, whether in the summer months or in the spring when the leaves are just starting to show up and the snow is just starting to melt. But what makes it really incredible and puts it on our list for the best fall colors in National Parks is the Yosemite Valley itself. Save yourself the hassle of parking and enjoy a tram ride along the assembly valley floor to see the fall colors sweeping up the lower hills and along the Merced River. The granite cliffs as a backdrop are breath taking and you’ll just be in awe. Tip: If you get to Yosemite too early in September you might not catch the fall colors, but you will miss most of the tourists. That’s just a good tip even without autumn spreading through the valley. Another tip is to hit the Hetch Hetchy area of the park for fewer tourists and just as much autumn foliage! Like we said previously, don’t miss out on a great autumn getaway to one of the best National Parks in fall because you didn’t plan ahead and you can’t get a nice hotel. We’ve enjoyed both the Evergreen Lodge at Yosemite as well as the Tenaya Lodge. 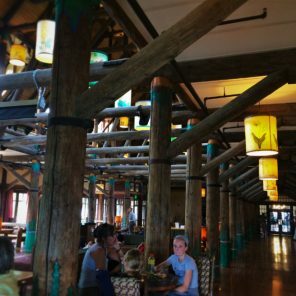 Both are great, but the Evergreen Lodge is our favorite. Autumn in Denali National Park is really special. If you’re able to plan it just right and spend at least four days, that’s the ideal way to experience another of the best National Parks in fall. The trees leading into Denali National Park change quickly and with that comes the tundra. As you head up into Denali, you’ll see over the course of a week how the low shrubbery turns flaming red, then orange, and by the end of the week it’s brown. The best fall colors in National Parks aren’t always trees. The tundra as it changes really is a sight to behold. 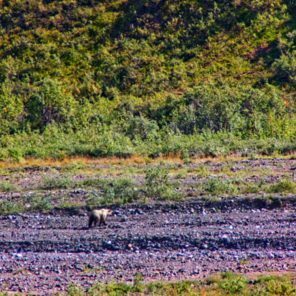 The bonus of being in Denali National Park in the fall is watching for moose and caribou. Moose are an elusive creature and are on many peoples’ wildlife bucket list. In the fall, moose antlers stand out against the willows and tundra because they’ve lost their fuzz and are a bright cream contract to the vegetation. The same goes for caribou (most of the time). Between their bright antlers and their activity during the rut, moose spotting is even more exciting than the fall colors. Tip: vehicle access to Denali National Park is always limited. Plan to venture in on one of the buses and go as far into the park as possible. The deeper into the tundra you go, the more wild it becomes. A trek to Wonder Lake will take a full day and then you’ll need to camp, but if you’re hardy enough to rough it, do it! 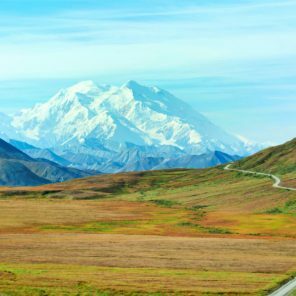 For lodging at Denali National Park, you’ll find some quaint small hotels/motels and then some exceptionally grand cruise line lodges. Even though some of the lodges are branded as Princess Cruise Lines or Holland America, non-cruise guests can still book rooms and take advantage of the amenities of the lodges. In the Pacific Northwest we don’t often think about visiting the mountains in the fall and winter unless we are going skiing or snowshoeing. Change that mindset right now! 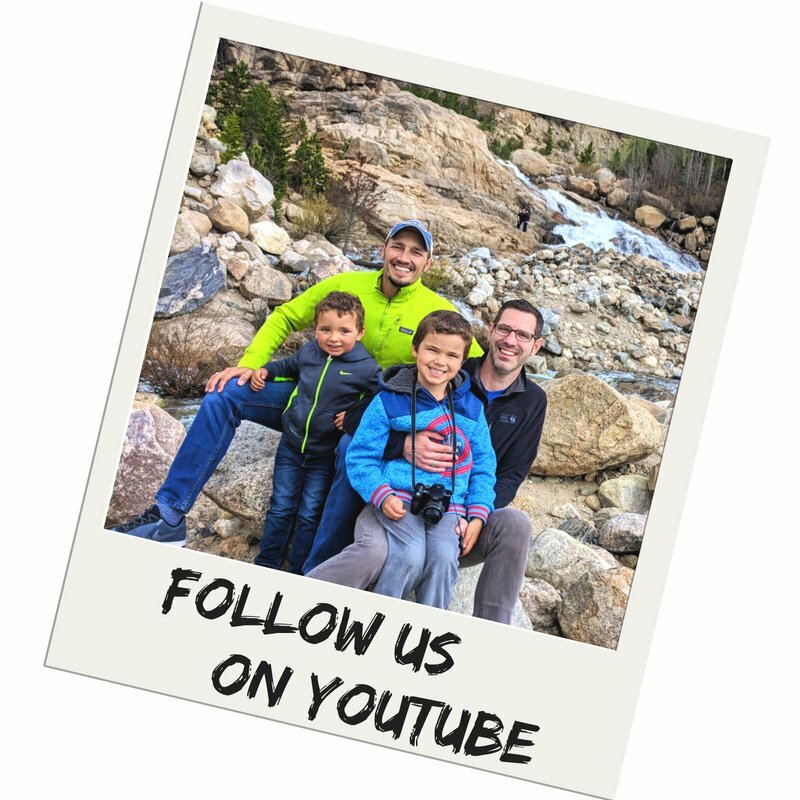 Mount Rainier National Park is always a go-to for our family for hiking or just relaxing our nature. To get the best fall colors you’ll want to visit early to mid October. 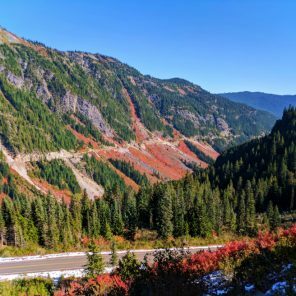 On the Eastern side of the park and to the South, such as Ohanapecosh and Stevens Canyon, you’ll see the low bushes that grow in the avalanche chutes and near the cliffs turn flaming red. 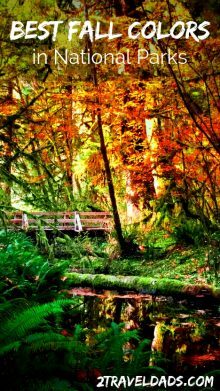 Near Ohanapecosh and Silver Falls there are groves of vine maples and large leaf maples that change yellow and orange. Some of the best fall colors in the west coast National Parks can be found in these two very different spots in Mountain Rainier NPS. Tip: just outside of the Nisqually entrance (southwest) to Mount Rainier National Park is the town of Ashford. As you drive in you’ll see a few meadows at the base of the foothills. This is a great spot to observe elk AND fall colors in the early evening hours. 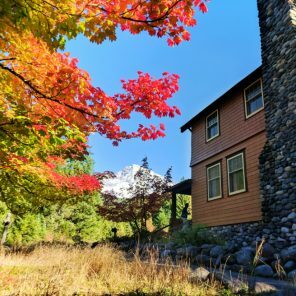 The lodges in Mount Rainier National Park aren’t open year round, so if you want to stay at the Paradise Inn, you’ll need to contact the Park to see when they’re officially closing the Inn to guests (usually October 1). The National Park Inn, lower on the mountain on the west side, is open year round. Wherever you choose to stay, you’ll find that Mount Rainier is one of the best National Parks in fall. You’ll fall in love with it. Have you been to Rocky Mountain National Park? It’s amazing. The views are incredible and the valleys never end. Whether you’re entering from the Grand Lake side (west entrance) or the east side at Beaver Meadows or Fall River entrances to the National Park, you’ll come into low forests with aspens and pines on all sides. 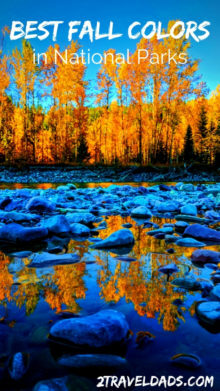 In the valleys along the streams and rivers you’ll find willows and other bushy trees that turn vibrant yellow. Rocky Mountain National Park has some of the best fall colors around. 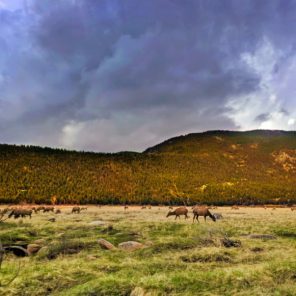 A bonus to visiting Rocky Mountain National Park in the fall is how active the elk herds are. 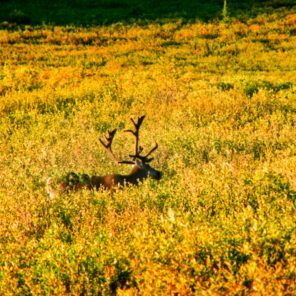 Autumn is elk rutting season which means you will want to stay farther away from them than normal, but it also means that you’ll get great opportunities to observe beautiful fall colors while listening to elk bugling in the meadows. And the nearby town of Estes Park on the east side is just perfect anyways. 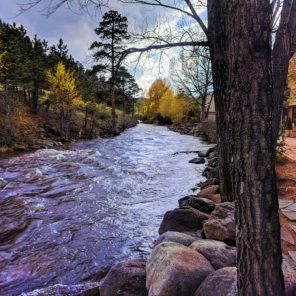 And don’t forget, aspen trees line the Fall River running through the town of Estes Park as well, so the drive up into the mountains and into Rocky Mountain National Park is going to be saturated with fall colors from start to finish. 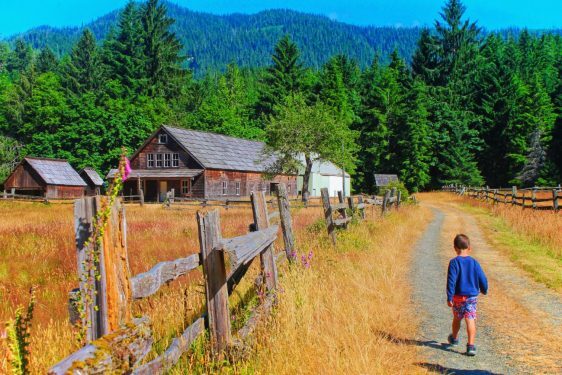 Tip: the McGregor Mountain Lodge is very close to the Fall River entrance and its cabins are perfect for families. It’s a great spot for a fall getaway to Rocky Mountain National Park and has a beautiful view of the Fall River Valley as well! 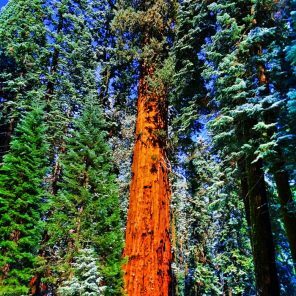 Sequoia National Park makes our list not because of leaves changing, even though you will see that in some of the lower areas of the park, but because fall colors in Sequoia National Park mean vibrant oranges and reds in the tree trunks of the giant sequoia trees. In the heat of the summer the forest floor can be brownish red and the tree trunks will be orangish red, which is beautiful but not quite what you might call vibrant and contrasting. The best fall colors in Sequoia National Park are when the first snows fall. There’s nothing quite like an excessively saturated reddish orange sequoia trunk popping out of perfectly white snow. It’s absolutely gorgeous. 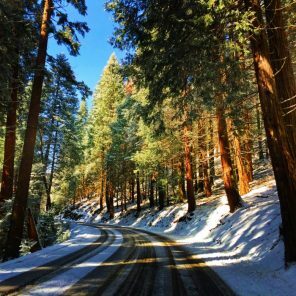 Both the Wuksachi Lodge and John Muir Lodge are open year round, so as long as you’re booking your stay a little in advance, you should be able to enjoy the bright contrasting colors of the red trunks in the snow any time. 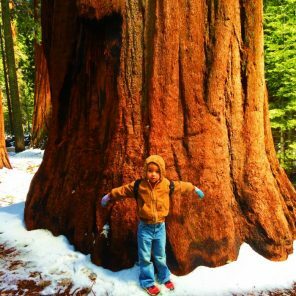 Sequoia and Kings Canyon are some of the best National Parks in fall or winter and you won’t be disappointed. Do you think we saved the best for last when it comes to fall colors in National Parks? Maybe… Olympic National Park is basically our backyard where we live so we are partial, but if you head over to the western side of the park to the Hoh Rainforest or the Quinault Rainforest you will see some of the most beautiful moss-covered groves of broad leaf maples. The fall colors in Olympic National Park start to change in mid to late October, coming to a peak in early November. 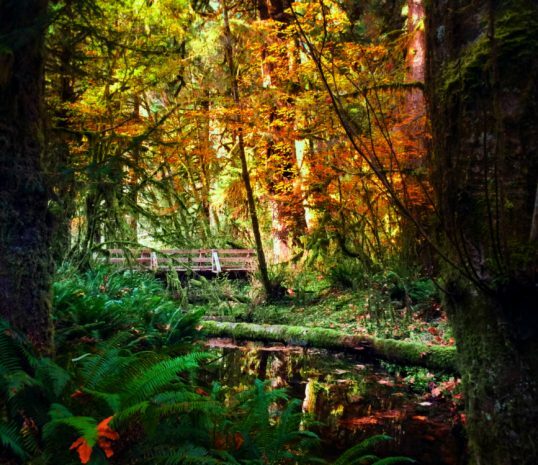 Deep within the rainforest the contrast of red, orange, yellow, and green make for overwhelmingly colorful sites, and with a temperate climate, this establishes Olympic National Park as one of the best National Parks in fall. Hiking is good in the Hoh Rainforest year round and enjoying the fall colors is something we are sure to never miss. The Quinault Rainforest is very similar and located just to the South, so if you’re coming from Portland or the Columbia Gorge area, this is just a bit closer and the autumn foliage is just as beautiful. We find it to not be as busy as the Hoh Rainforest and if you plan it right, you can even enjoy a night or two at the Lake Quinault Lodge nearby. 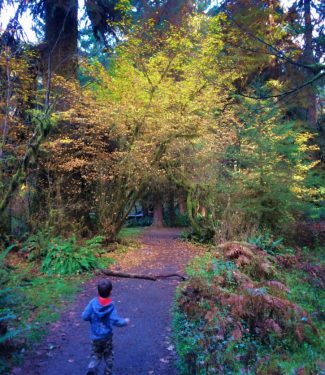 Tip: if you’re thinking about the best photos you can get of fall colors in Olympic National Park, Quinault may be the better bet as more light comes in through thinner canopy there. Also, an abandoned farm lends itself to cool, kitchy photos if you’re trying to capture fall foliage in its most photogenic form. He said we had a bonus destination for experiencing the best fall colors and it actually goes hand-in-hand with visiting Glacier National Park during its peak of autumn foliage. Both the Flathead and Lewis and Clark National Forests in Montana are stunning beyond belief. 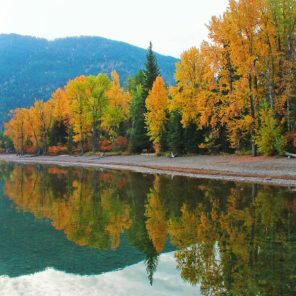 The Flathead River is broad and beautiful and the drive along Highway 2 has plenty of pullouts for you to sit and stare in amazement. 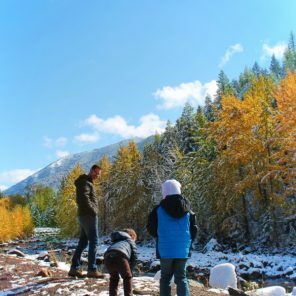 There are quite a few hikes that you are able to do if that’s what you’re looking for, but we found that bringing a picnic and enjoying some of the fishing spots (and not fishing) along the Flathead River provided some of the best views of fall colors and give the kids plenty of activities while us dad’s just relaxed. Tip: Check out our article on visiting Montana via Amtrak. Riding the train to visit Glacier National Park is a one-of-a-kind travel memory, and we recommended it for anybody wanting to experience the best of fall colors in national parks. Gosh! I’m ready to go right now!! We’ll be visiting a few more National Parks this fall, including North Cascades National Park, so we’ll be sure to share if we think we need to add anything to our list. You know that road trips are our favorite thing so if you need some help or need an itinerary, check out some of our suggestions from our travels over the years. 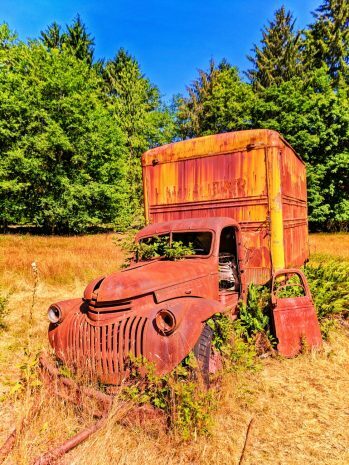 Our most popular road trip plan is the Mountain National Parks of the West Coast, which begins at Mount Rainier and ends at Sequoia National Park. Our other favorites have been the Oregon Coast the Columbia River Gorge, the Northern California coast, the Central California coast, and just everywhere around Florida. With any of these you can work in our recommendations for best National Parks in fall, but then enjoy them any time of year as well. 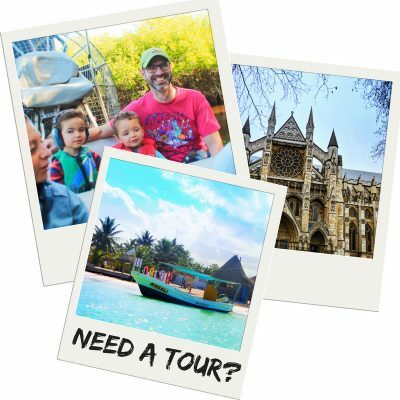 Check our road trip itinerary page for all of our suggestions from what we’ve done and can recommend. 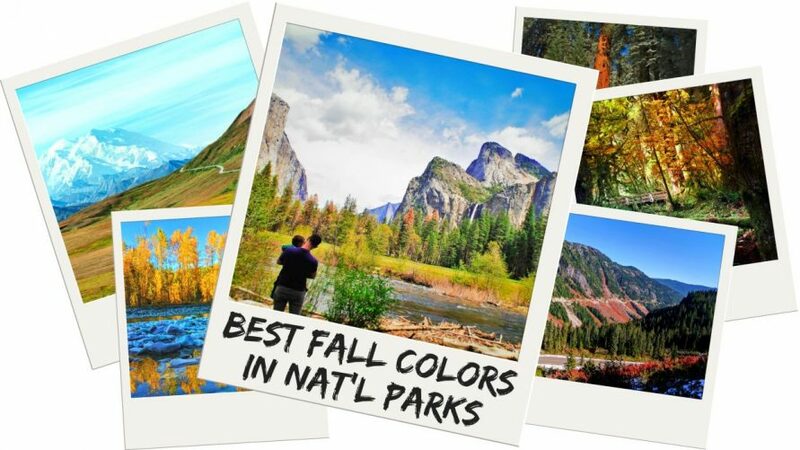 Want to pin this for planning your own travel for finding the best fall colors in National Parks? You know you can’t get enough autumn foliage… Go for it!!! And please let us know what else you find that is just too beautiful to keep to yourself.